"Restoration of peat bogs may preserve some of the benefits they provide while having negative impacts on other uses. So, how important are they to you?" Peat bogs are useful to society in many ways – they regulate our water flows and sequester greenhouse gases while serving as a historical archive of our past and protecting unique plant and animal species. 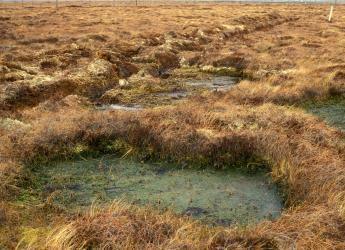 However, many peat bogs have been drained or converted to other land uses to provide other rewards such as food and timber. Restoration of peat bogs may preserve some of the benefits they provide while having negative impacts on other uses. So, how important are they to you? Scientists from the James Hutton Institute and Scotland’s Rural College (SRUC) will be conducting a workshop in Lerwick on Saturday 25th November to hear from Shetlanders about their uses of peat bogs and their restoration. Researchers are particularly keen to speak to Shetlanders living in areas where peat bog restoration is taking place (regardless of whether or not they are involved in the process), as well as organisations and individuals involved in peat bog restoration projects. To register and for details of the venue and time please contact Carol Kyle (01224 395206). Lunch will be provided.